Summer is almost here. If you’ve not done it yet, it might be a good idea to have your air conditioner tuned up. 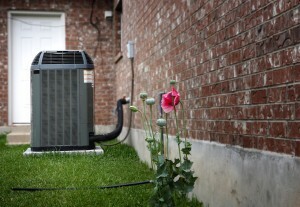 A typical tune-up includes checking the refrigerant level, cleaning the coils, inspecting the electrical connections, and making sure the drain is not plugged. When your air conditioner is operating at its optimal condition, it runs the most efficiently, lowering your cooling costs. In addition to having your system inspected, now is also a great time to replace your return air filer located inside the house. A clean filter makes it easier for your system to pull the hot air out of your house, cool it, then reintroduce it into the house. If you’d like to know more ways to reduce your summer heating bills, click on the “Energy Efficiency” tab on this website. One of the best ways to save energy is to know what items use the most electricity in your home. HES has created this page to provide that information to you. If you’d like to know what changes you could make to your home to lower your electricity usage, HES offers its customers access to the TVA eScore program. This program is designed to allow consumers the opportunity to perform an energy self-audit on their home, or request a home energy audit by an energy efficiency expert. More information about the eScore program can be found here.